The chart pattern fiesta ain’t over yet! And for today’s intraday charts update, I’ve got a bullish flag on USD/CAD and a channel on AUD/CHF that y’all may wanna check out. USD/CAD has been moving ever higher at a rather rapid pace. However, it encountered resistance at 1.3210 and began trading sideways. Bulls aren’t ready to give up, though, since they appear to have entrenched themselves at 1.3170. And in the process, what appears to be a bullish flag pattern has formed. 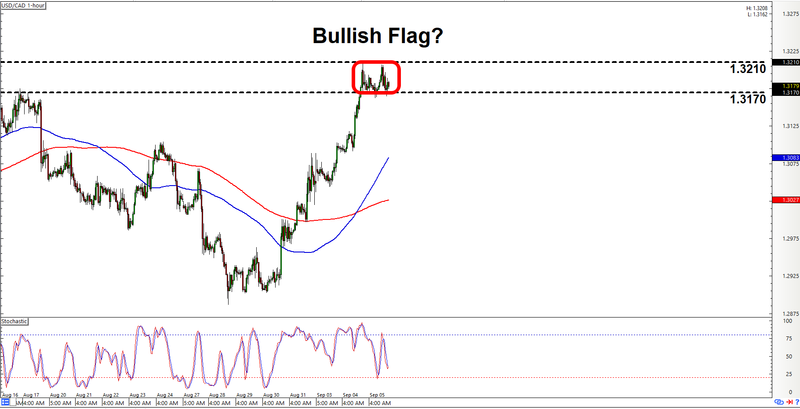 As the name suggests, a bullish flag is a bullish chart pattern, so we are mainly lookin’ to go long on the pair. And if the pair does break higher past 1.3210, then the pair will likely have enough momentum for a whopping 300-pip move. Of course, there’s always a risk that the setup may fail, so y’all just make sure to practice proper risk management, a’ight? As y’all can see, AUD/CHF’s price action had been tilting to the downside recently while apparently trapped inside that there descending channel. And presently, the channel’s support at 0.6970 appears to be holding. Moreover, stochastic is already pointing back up after briefly testing the oversold area. There’s therefore a chance that the pair may move back up again. 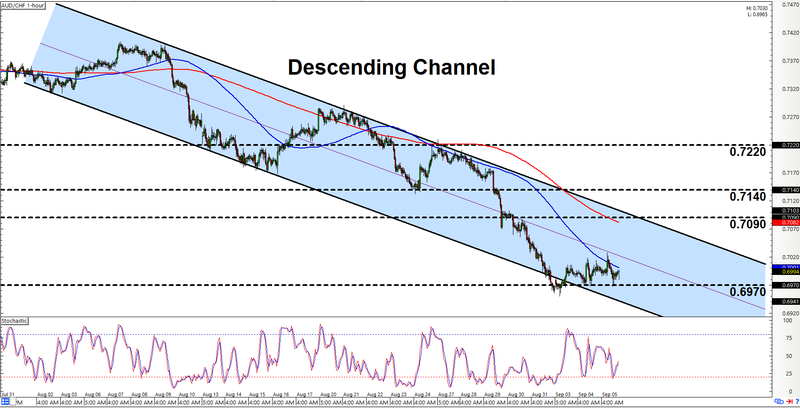 If the pair does move back up, then bulls will likely be gunning for the channel’s resistance at 0.7090. However, there’s always a risk for a topside channel breakout, and a move higher past 0.7220 would validate the breakout move. Although y’all may already wanna start thinking about switching to a more bullish bias if the pair moves higher past 0.7140.